The City of Fayetteville is centrally located in Mid-America. It is 35 miles from the Arkansas-Missouri border and 25 miles from the Arkansas-Oklahoma border. 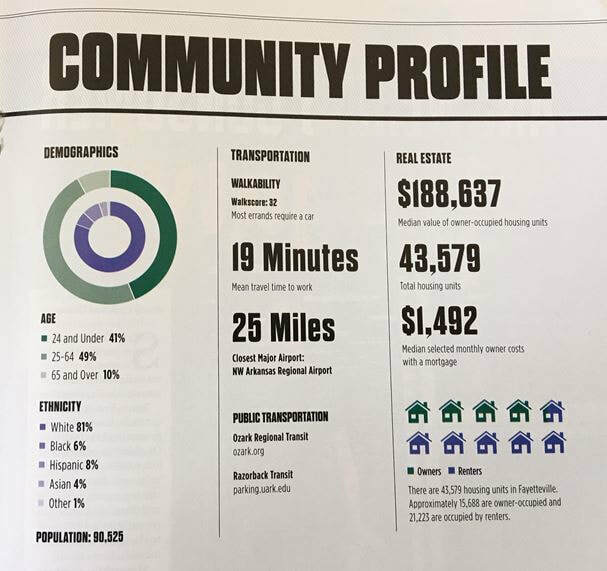 The City of Fayetteville is one of 5 big cities in the Fayetteville-Springdale-Rogers MSA (Metropolitan Statistical Area). This MSA forms the Northwest Arkansas Region and it comprises of Washington, Benton, and Madison counties in Arkansas and McDonald county in Missouri. Fayetteville-Springdale-Rogers MSA is one of 4 MSAs in Arkansas and 323 in the United States. The largest city in this MSA is the City of Fayetteville. Population-wise, the Fayetteville MSA ranked 105th in the US. Regionally, Fayetteville is located in northwest Arkansas. Northwest Arkansas is home to three Fortune 500 companies and the state's flagship university. The US Census Bureau released new population estimates that show Northwest Arkansas reached 525,032 in 2016. 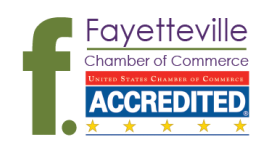 In terms of Per Capital Personal Income, the Fayetteville MSA is ranked #28 in the nation with $55,729 in 2016. The PCPI is 132% of the state at $42,298 and 113% of the nation at $49,246. Between 2006-2016, the compound annual growth rate of the PCPI was 4.5% compared to 2.4% for the state and 2.6% for the nation.